The first time I tried Afghani chicken was in a restaurant whilst I was in India and I instantly fell in love with it. The chicken was really soft and tender, full of flavour but without the overpowering heat that Indians might expect. Traditionally cooked in a tandoor oven, this dish soon became really popular on my dinner menu. We Punjabis have a lot to thank the Afghan people for, with the tandoor being top of my list. 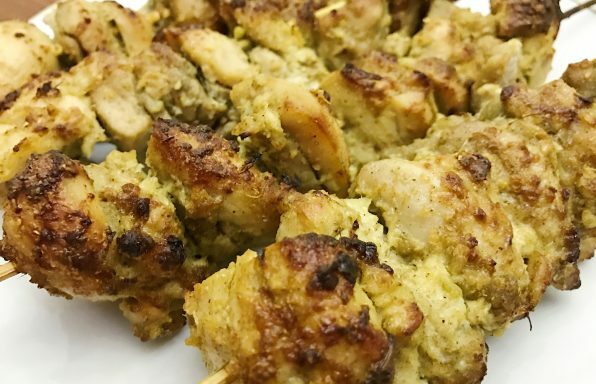 We grew up eating these kebabs and they really make me feel nostalgic. Spices were limited in the UK when my parents moved there, hence the ingredients list isn’t substantial for this recipe. They're incredibly simple to make and they taste fantastic. They’re really versatile too – you can have them with salad, on their own, rolled in a naan or even as a burger. A concoction of vegetables blended with spices and copious amounts of butter, served with toasted, butter-soaked bread rolls, a wedge of lime, green chillies and finely chopped onions, pav bhaji is the quintessential Mumbai street food – in fact, anyone reading a Mumbai guide book will always find this dish included in it. Historically it was the lunch of the textile workers, as it was a quick and affordable meal before rushing back to work. 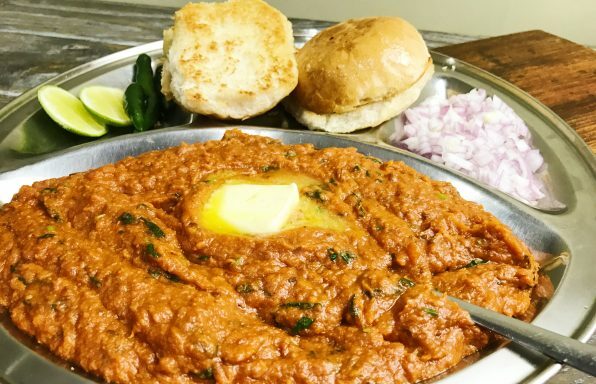 The mills have disappeared but the pav bhaji still sits there adorning the crown of street food. Mumbai I salute you! With us being in the peak of summer and getting ready for our summer holidays, I thought it would be good to get in the summertime mood by sharing another cocktail recipe with you. 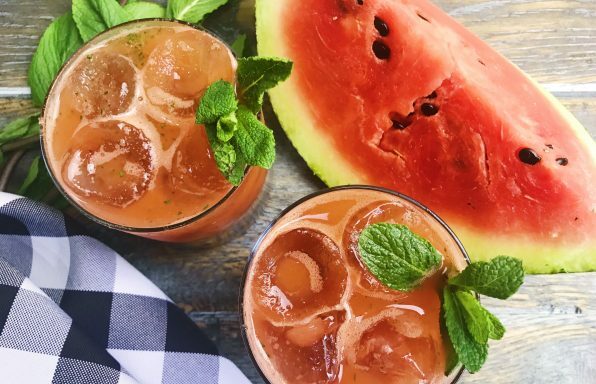 Cool, refreshing and very moreish, my Watermelon Cooler can be served as an aperitif whenever you’re feeling summery but is perfect for summer garden parties and BBQs. So give it a try – whether it’s with or without the alcohol – and I’m sure it’ll become your favourite summer cocktail too. Coronation chicken began its royal journey in 1953 for the coronation of Queen Elizabeth II. Back then it was really popular, but nowadays it’s usually seen as nothing more than a sandwich filling to be found in unimaginative sandwich shops. 2017 saw the Queen celebrating her sapphire jubilee. 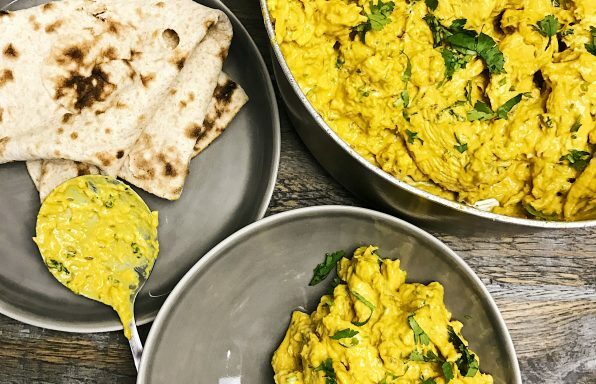 To mark Her Majesty’s anniversary, I thought I would reinvent the original coronation chicken dish as a curry and not simply a sorry sandwich filling. I don’t know about you, but I think it deserves a royal warrant! Maaji (my great grandma) taught my mum to cook. Maaji came from an elite pedigree of Punjabi heritage and was a daughter of the Patiala Sadars. Stories we heard growing up were that she was gifted shoes made of silver at her wedding and the mahal (small palace) she lived in once she got married had a fourth floor dedicated to her to keep prying eyes away from this beautiful lady. The mahal is crumbling away as all the family live abroad and don’t visit, but what is left are stories from the flamboyant past of my family. What does live on is what Maaji taught my mum, which is the love for food that my mum has now passed on to me. I share with you a fourth-generation recipe that still lives on today and allows you to get a glimpse of what opulence really is. This is food with a story, heritage and love. Enjoy. 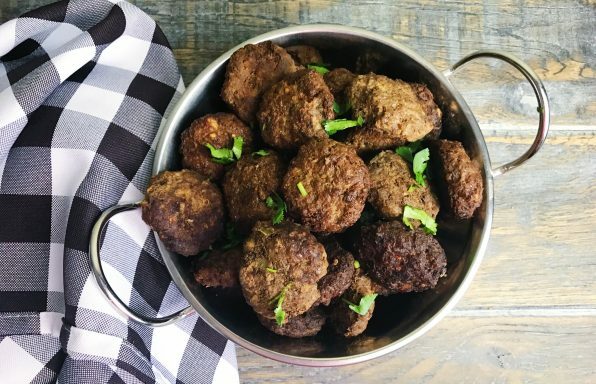 Sometimes you need to spice up the traditional Christmas dinner and this recipe most certainly does. The warmth comes from the subtle infusion of spices, which adds so much flavour and depth to the turkey or capon. The top layer caramelises gently adding more flavour and texture to this dish. 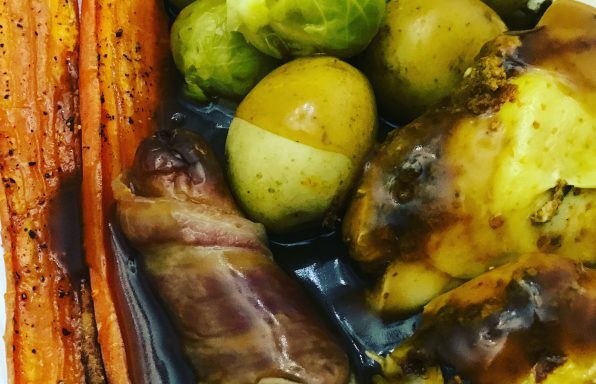 You’ll love this dish so much you will replace the conventional Sunday roast for the spicy alternative as well as the Christmas dinner. Sometimes we need a dish that creates a wow factor and this dish most certainly does. Shahi murg kofta (royal chicken kofta curry) ticks the opulent and indulgence boxes. 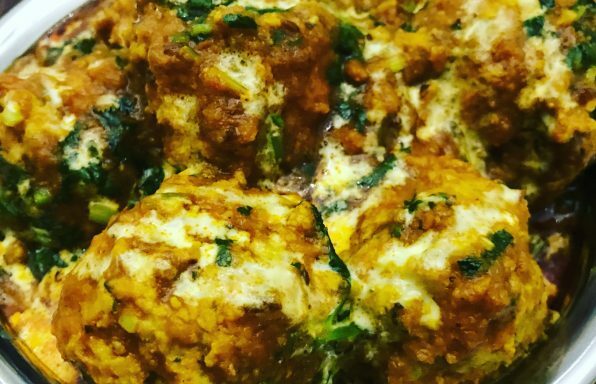 The thick creamy masala clings and coats the soft, spicy and flavoursome kofta’s. 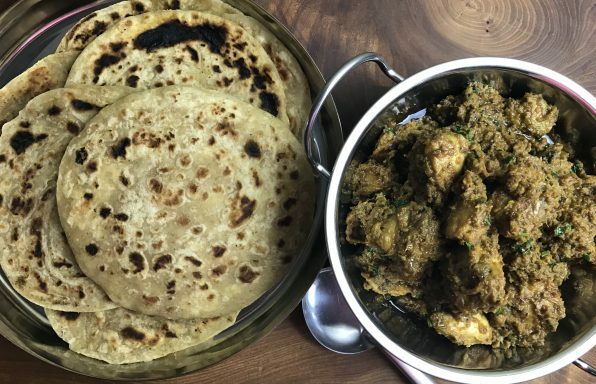 This recipe is inspired by the royal kitchen’s of Punjab. I can imagine this dish being served at a Maharaja’s banquet and will surely impress anyone you serve this dish to. 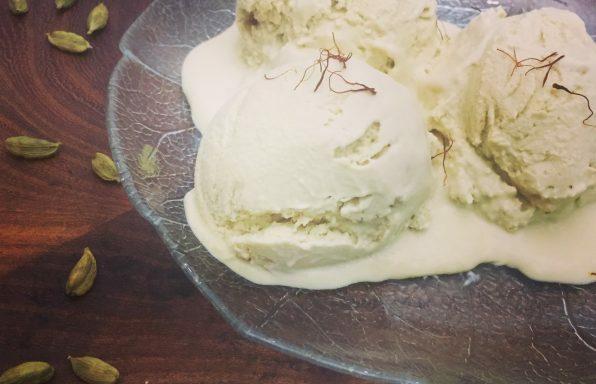 Kulfi is a frozen version of ice-cream from India. It’s popular throughout India and is ever so popular in Indian restaurants throughout the world. Kulfi comes in many flavours, two of my most favourite flavours are cardamon and saffron. Cardamon the queen of spice and saffron is the most expensive spice in the world. Do you wonder why I add them to my kulfi? Kulfi is denser, creamier than conventional ice-cream and there is a real sense of luxury when eating kulfi. People write tributes to love and I feel like writing a tribute to pakoras. They are known by the fancy name fritters all over the world. Every family has its own traditional variation of the recipe and it’s an ongoing battle to see whose pakora’s are better or best. Now do I dare share my recipe for pakoras? Yes, I do! On a rainy day in Punjab, a plate of pakoras with a hot cup of masala chai infused with ginger and mint is the best road to Nirvana. If a rainy day was an excuse in sunny England I’m sure the nation would all be soft and round like a pakora. 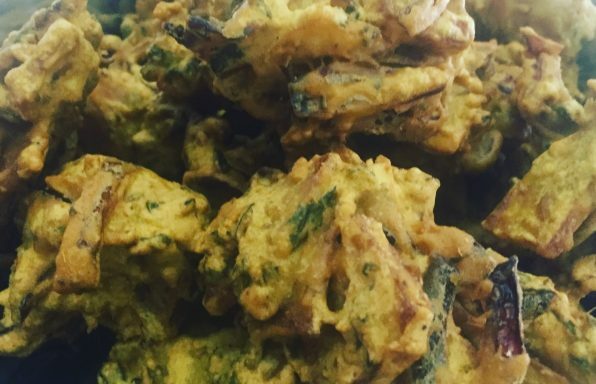 My recipe is an introduction to the world of pakoras. If you’re a fan of the onion bhaji served at the restaurants, then these taste completely different with a crunchy exterior, a soft center, with every bite unraveling a new flavor. Pakoras are amazingly addictive nuggets of pleasure and so very hard to resist. Sukhi is finally starting his cooking channel on You Tube so that he can share all of the delicious recipes he’s learnt and put his unique mouth-watering twist to. Sukhi has travelled extensively throughout the globe and, with India being a second home, he’s spent a lot of time there. He learnt recipes whilst on his travels and his love and passion has continued to grow over the years. Sukhi’s passion for food started at a young age where his mother taught him the basics of good Indian cooking. He then started adapting these recipes. Sukhi’s mother was brought up in Punjab, northern India and was taught to cook by her grandma. They lived in an affluent surrounding and she learnt many recipes influenced from the royals of India. Sukhi appeared on Masterchef 2008 (UK) and was shortlisted from over 13,000 applicants. Although the experience was quite bitter-sweet, Sukhi was never deterred from his passion for cooking. Sukhi then starting writing regularly as a food editor for a local magazine and occasionally for a newspaper. He became very popular with readers sending in cooking-related questions and trying his mouth-watering recipes. 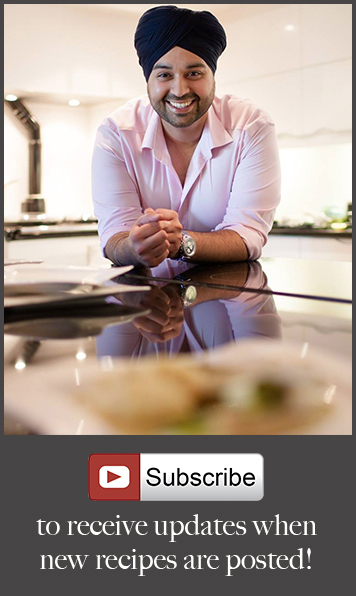 Sukhi has hosted many private cookery classes and is a bespoke caterer, food critic and food consultant. So, the time has come for everyone to learn the secrets and delicious recipes of a true foodie.